SUMMER ALL SPORTS CAMP REGISTRATION IS OPEN! 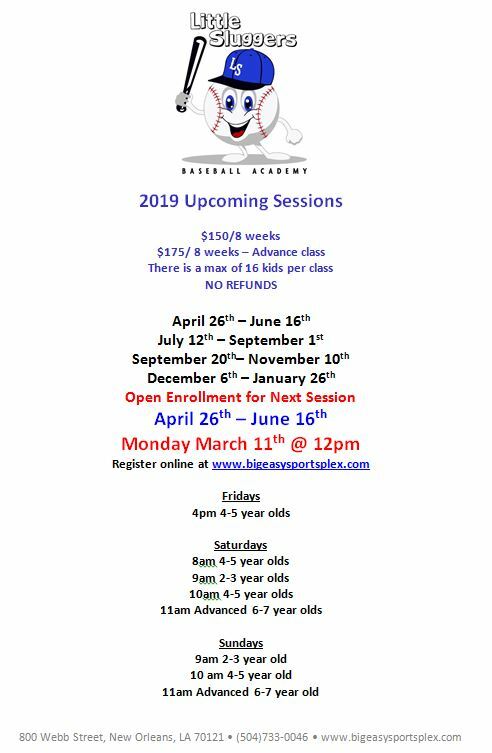 JOIN COACH JOSH, COACH BRAD (of Little Sluggers) AND THE JUNCTION PLACE SPORTS TEAM FOR ANOTHER GREAT SUMMER OF ALL SPORTS CAMP AT BIG EASY SPORTSPLEX! CLICK ON THIS BLURB FOR MORE INFORMATION AND TO REGISTER TODAY! SPOTS WILL FILL QUICKLY!! ​ April 26th - June 16th session. Open To: Boys and Girls Ages 4-12.